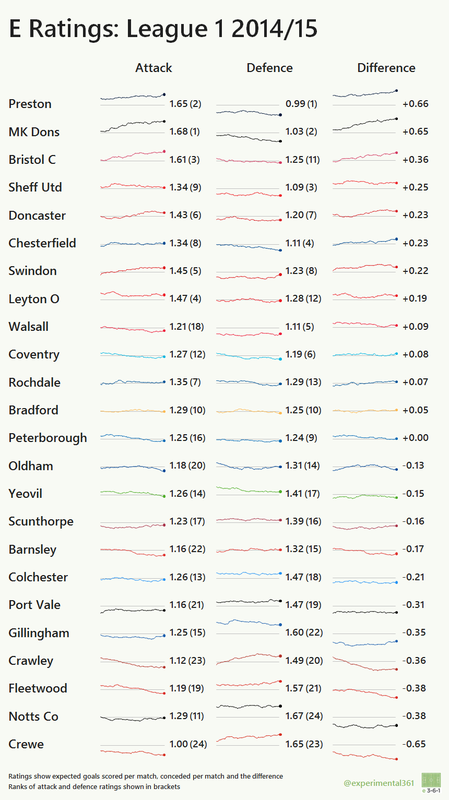 As for the Championship, there were two promoted clubs who had far superior net ratings to everyone else: Preston and MK Dons, with each club ranking first for one of the two measures and second for the other. 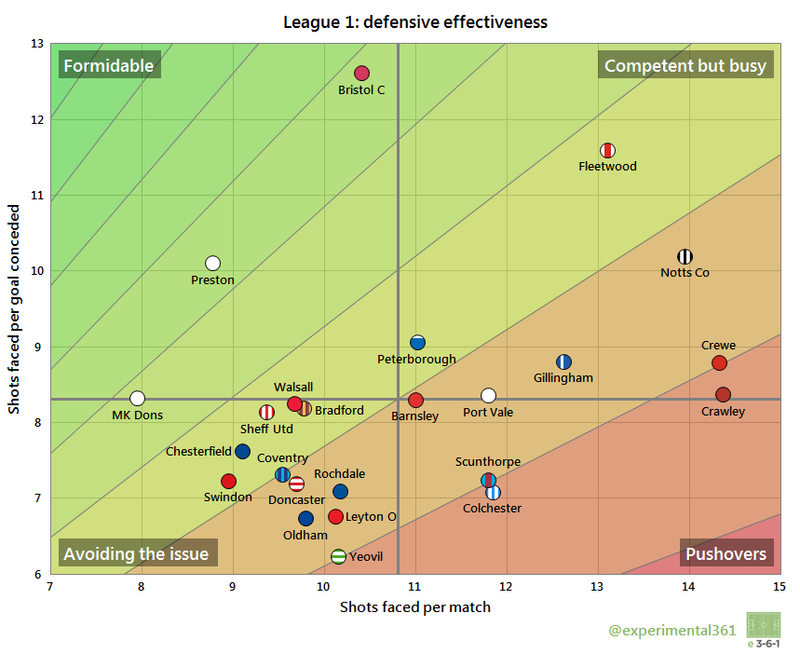 Interestingly given their dominance in the league table, Bristol City‘s defence were pretty ordinary by my measure. We can see this when we look at the regular defensive effectiveness plot for last season: they allowed an average number of chances but soaked them up exceptionally well. It’ll be interesting to see whether they can do likewise in the Championship. Also interesting was that Crewe avoided relegation despite being adrift at the bottom of these rankings. Both they and Crawley were on the back foot more than anyone else last season, so a lot of work is needed to avoid a similar struggle in 2015/16. 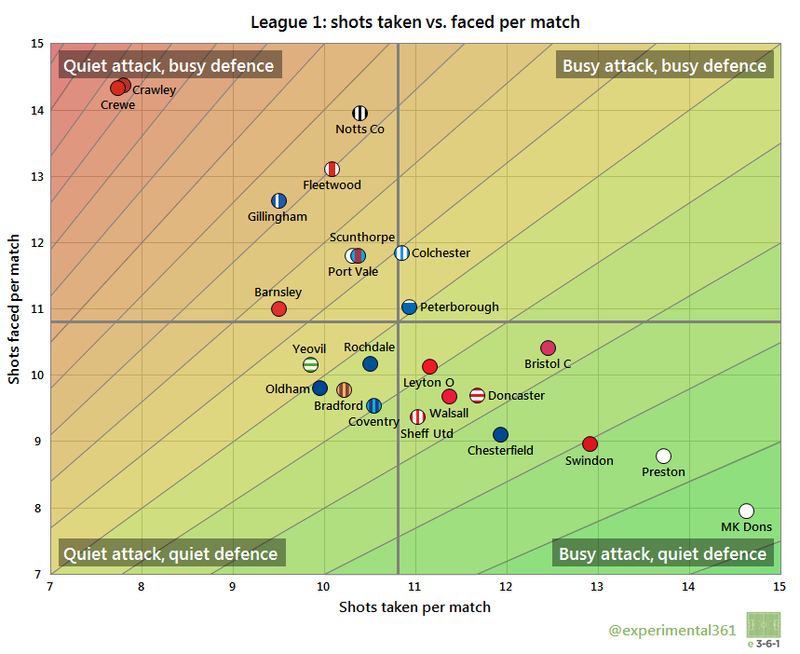 The outliers – Preston and MK Dons in one corner and Crewe in the other – are clearly visible here. Relegated Notts County actually did a respectable job up front, but their defence allowed opponents far too much freedom. Gillingham and Fleetwood‘s similar placings raise questions over their respective prospects of another top half finish. 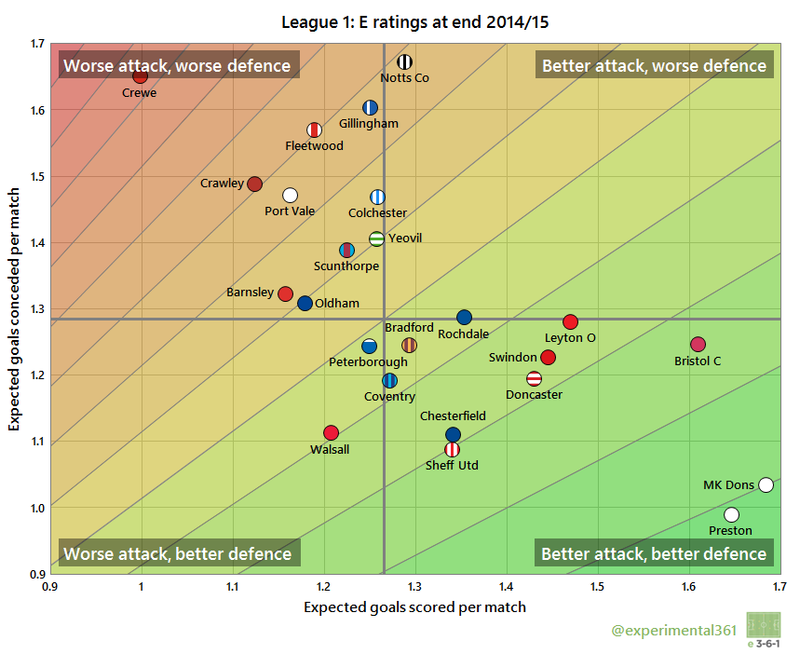 It’s interesting to see how well Doncaster performed despite their mid-table finish. Could they be a play-off contender next season?